Where do the political parties stand on the issues? With the provincial election fast approaching, the New Brunswick Union – which represents about 9,000 workers in the province – has several issues it would like all parties take a position on prior to the vote on Sept. 24. Below is a list of the issues and the NBUs stance. After that is the position taken in the platform of each party. Over the years, various governments talk about the need to reduce the number of people working in the public service as well as the need to privatize portions of it. These two notions go hand-in-hand. One way to justify moving a service from the public to private sector is by slowly reducing the funding and resources allocated to its operation. This will lead to the service potentially struggling or not being as effective as it has in the past because of less funds and workers doing the job. Government can then turn around and say it needs a solution and is looking to the private sector to take it over because efficiencies will be found and a better job will be done. Liberal: No mention of privatization in the platform. Progressive Conservative: Carefully review the Medavie extramural contract within six months of the election to ensure it is delivering better quality health care services to our citizens. If that is not the case, the contract will be cancelled. Green: Cancel the contract with the private company Medavie for managing our extra-mural health services, and return management responsibilities to Horizon and Vitalité. People’s Alliance: No mention of privatization in the platform. 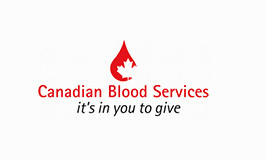 Thousands of Canadians were killed or had their lives irrevocably altered because of the tainted blood crisis in the late 1980s/early 1990s. Out of this tragedy came the Krever report which, among other recommendations, stated Canada should only use a volunteer model of collection for plasma and blood. Our provincial government ignored history and the recommendation. Despite numerous other provinces banning the practice, New Brunswick has allowed a company to set up in Moncton and pay people for their plasma donations. In some instances, government representatives have stated Canada doesn’t collect enough plasma to be self-sufficient and the paid clinics would help. This was a falsehood as none of the plasma collected through the paid process would stay in Canada. In a CBC article on July 19, 2018, the CEO of the Moncton clinic Barzin Bahardoust admitted the plasma will not help Canadians. Plasma collected in Moncton does not stay in the country. Bahardoust said it is shipped to Europe to be processed because there is no facility in Canada. Despite the need in Canada, the product is "potentially distributed in over 100 countries but primarily in Europe," Barhardoust said. To sum it up, paid plasma clinics are against the recommendations forged out of tragedy and what is collect won’t help Canadians. So why are we allowing this to place in our province? No party has this issue mentioned in its platform. 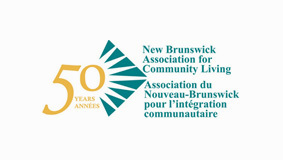 The NBU will bring forth a resolution at its convention that New Brunswick enact a $15 minimum wage by 2020. We’re asking government to raise the minimum wage to $15 per hour to help combat poverty in the province and provide people with a living wage. Opponents of this proposal will cite different reasons why it should not go ahead from its effects on business to most of those currently receiving minimum wage to be teenagers. The Bank of Canada estimated that between 30,000 and 140,000 fewer jobs would be created. Fast forward ten months, and Ontario has seen its lowest unemployment rate in almost two decades. 60,000 jobs were added in July alone. “There’s almost no evidence, very little evidence, that the minimum wage increase has had a negative impact on employment,” said economic professor John-Paul Lam. As for the claim most people receiving minimum wages are teenagers working part-time jobs, it’s not accurate. From Statistics Canada, in 2016, 64 per cent of minimum wage workers across Canada were not teenagers, up from 52 per cent in 2006. This means more and more Canadians and New Brunswickers are dependent on minimum-wage income to support their families. Liberal: Increase the minimum wage to $14 per hour by the end of the mandate, beginning with an increase to $12 per hour on April 1, 2019. Progressive Conservative: Establish a minimum wage framework that is adjusted annually based on an average of inflation and wage growth. Green: Raise the minimum wage by $1.00 per year to $15.25 per hour, and then index it to inflation, so working people do not have to use food banks to make ends meet. Universal Pharmacare is a program designed to provide everyone with the essential prescription medications they need. In Canada, this would mean everyone who has access to healthcare would also have access to essential medications prescribed by their doctor. As it stands, one in five Canadians cannot afford the cost of the prescription medications because of the cost. By making it a single payer system through the federal government, we can achieve savings for Canadians and ensure everyone has access to essential medications. We want all provincial parties to commit to joining with our provincial counterparts in order to lobby Ottawa to enact a national Pharmacare program. Liberal: Work with federal and provincial partners towards the development and implementation of a national pharmacare program. • Modernize various labour laws, including the Employment Standards Act, the Occupational Health and Safety Act, the Industrial Relations Act, the Public Service Labour Relations Act, and the Civil Service Act, with a goal of ensuring New Brunswick workers have, at a minimum, the same protections as other Canadians. • Expand the successful midwifery pilot to other regions. • Increase of hours of care (in nursing homes) from 3.1 hours today to 3.3 hours by 2022 and to 3.5 hours by 2026. • Invest to hire up to 40 new nurses, 80 new licensed practical nurses, and 80 new resident attendants for nursing homes. • Pass legislation to require pay equity implementation for local governments and in the quasi-public sector by 2020 and for large businesses in the private sector by 2022. • Fully implement all measures under the province’s plan to address domestic intimate partner violence, as well as the new Sexual Violence Framework. • We will not grow government until we are back in a surplus. • Savings will be realized through attrition and by identifying and eliminating government waste. • Editor’s Note: the plan above is to eliminate 600 jobs in Part 1 by not replacing civil servants who retire in the next four years. This means the elimination of 600 less good paying jobs in our province. • Ensure existing not-for-profit nursing homes have the “right of first refusal” to provide additional nursing home beds in the communities they serve. • Increase the hours of care for nursing home residents from 3.1 hours per day to 3.5 hours per day, based on the positive results of the Department of Social Development’s 2010 pilot project. • Amend the Right to Information Act to make publicly-financed policy research and consultants’ studies available to the public as soon as the studies are completed. • Amend the Public Interest Disclosure Act to increase protection for government whistleblowers, and impose sanctions on those who might retaliate against them. • Introduce paid sick days for all employees. • End unfair employer practices, including split shifts, call-ins without pay and never knowing when you are scheduled to work. • Increase the coverage of employment standard legislation to dependent contractors and others excluded by the current definition of employee. • Increase the provincial government’s capacity to enforce employment standards. • Prohibit employers from requiring doctors’ sick notes. o Common employer designation for franchise operations protection. o Expanded successor rights and protections for contractors in the service industry. o Anti-scab protection to defend union jobs. o First contract binding interest arbitration. o Empower the Labour Relations Board to extend sectoral bargaining—as done in the construction industry—to all sectors of the economy. 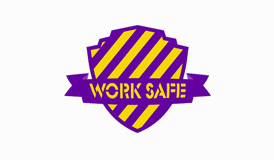 o To strengthen workplace safety, the NDP would review WorkSafeNB’s mandate to ensure that a culture of safety is properly enforced in all work places. o Improve access to injured worker benefits by ending the three-day waiting period. o Our plan would invest $225,000 to hire five more employment standard officers. • Dedicate all new federal home care funding for expanding the Extra Mural Program, which provides medical needs and home services supports to seniors and other New Brunswickers in need of care. This will allow more patients to receive health care services in their own homes. • Ensure pay equity legislation applies to New Brunswick’s health care sector. • Keep nursing homes under the purview of community and church-based non-profit groups. • Stop the shift toward for-profit nursing homes. All new nursing homes will be under the community non-profit umbrella. • Ensure better resident care by revisiting the skill mix ratios currently under review. • Move towards a resident-to-caregiver ratio of 3.5 hours of care per day. • Immediately reinstate the support professional positions cut from our schools such as psychologists, occupational therapists, public health nurses, behavioural specialists and social workers.